Confession: I'm a Disney Nerd. And I'm not even a little ashamed of it. I spent many summers with my Grandparents in their retirement community in Zephyrhills, Florida. My Grandfather and I used to go to Walt Disney World all the time! Some of my favorite childhood memories are of my Grandfather and I riding Dumbo and running around old Toon Town where miniature houses used to stand. As I've grown up my love of all things Disney hasn't wavered. Going to the parks is still just as fun, even though I'm more interested in intense rides and drinking around the world in Epcot. I'm also really loving all the beautiful Disney Walls! For those of you who doesn't know, Disney Walls are simply, walls around the Disney parks that are fun to takes pictures in front of. Some of them have been there for years, but it seems like more and more are popping up all the time. 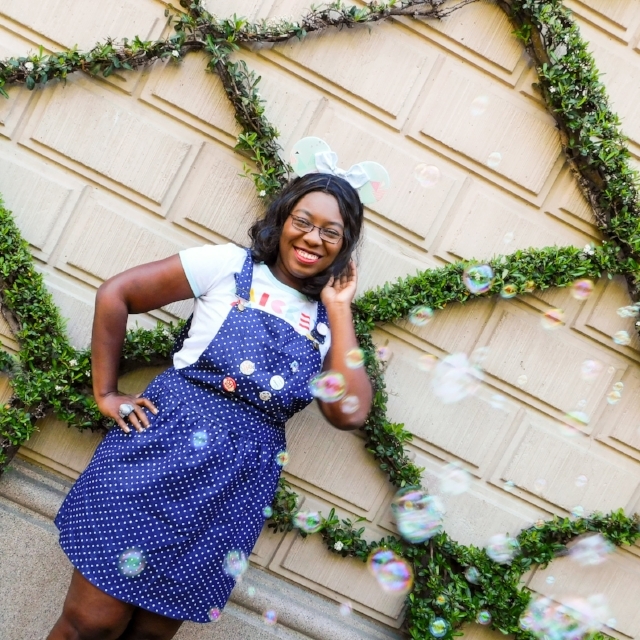 I've reach out to a bunch of Disney lovers, who have contributed their favorite Walls to this post. Some of them you might have heard of, and others are fun surprises you'll have to go looking for on your next Disney adventure! The new Galactic Wallin an update on the original Purple Wall. It's my favorite because I love pinks and purples! I always wear a lot of those colors! The wall is in the Magic Kingdom. A you walk down Main Street USA and into Tomorrowland, you will see both the original Purple Wall and the Galactic wall on your right hand side. 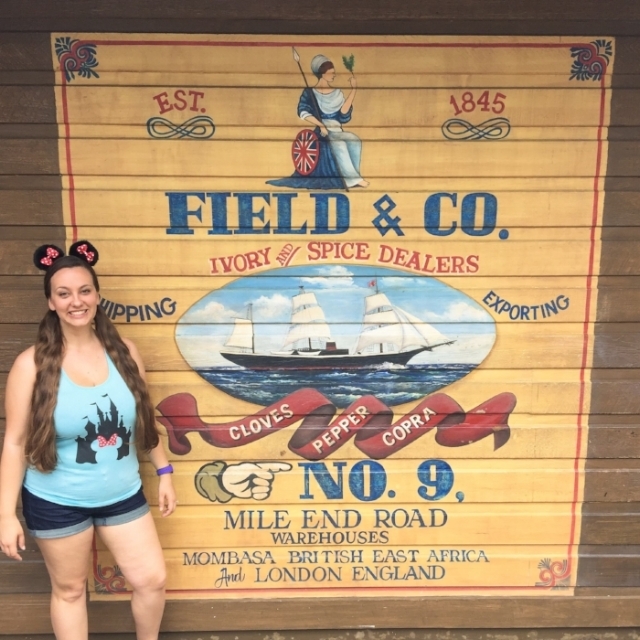 The Field and Co. Wall in Adventure Land is one of my favorites. While I love it for its rich, warm colors, it makes me think of a time when the world was a bigger place of exploration and adventure. Being out of the way of any major walkways, you become a bit of an explorer yourself as you track this secret wall! This little spot can be easy to miss unless you’re coming off of The Jungle Cruise in Magic Kingdom. As you come out of The Jungle Cruise exit, this wall is to your left on the building. You do not need to ride The Jungle Cruise to get to it though! When you approach the entrance to the line queue, if you look to the far left you will see the exit and can reach the wall from there. "My favorite Disney wall is the Neon Mickey at the Contemporary Resort. I love the throwback feel, all the colors, and the inspiration from Pop Art. It also features everyone’s favorite mouse, Mickey! You can find this wall on the 4th floor of Disney’s Contemporary Resort in Walt Disney World. It’s just outside Bay View Gifts across from Fantasia. " Here’s a photo of me in front of the Bubblegum Wall in Epcot (even though some of the colors did not make it into this photo). This is my favorite wall because it is usually never busy, and that pink just pops out at you! I also like the Bubblegum Wall because it is surprisingly enough connected to one of the most iconic rides in Epcot: Spaceship Earth! (Pro-Tip: make sure you get a Fast Pass!) Located at the exit of the ride, if you are not a «Disney Wall Pro» it is the kind of wall that you literally just happen to walk past by surprise as you’re exiting the ride! I love the Blue Wall because it makes every outfit pop! It's so simple, but so popular and somewhat hidden. I have some of the best memories over there with friends. I've even met fellow Disney Bounders there and we now follow each other on Instagram! The Blue Wall even has it's own instagram account! The Blue Wall is located in Disney's California Adventure and it's located in the backlot of Hollywood Boulevard! I like the Toothpaste wall! I think it's underrated- it's a little less popular and crowded (I'm lookin' at you, Purple wall) and has some dynamic stripey visual interest without being too busy. Plus, the light is good. It looks sort of like the cool toned sibling of the Bubblegum wall. 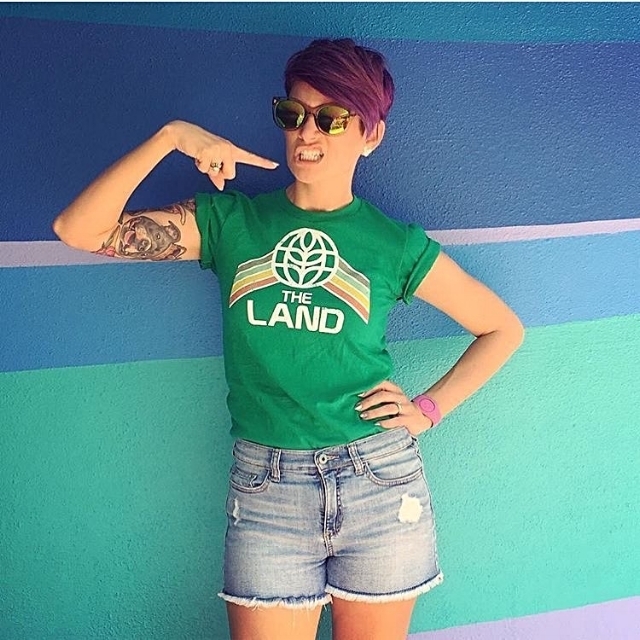 And it's in my fave park (Epcot) near my fave ride (Living with the Land). How to find it: It's right outside the entry to Coral Reef Restaurant: if you're in Epcot, in Future World, in the Land, facing The Seas with Nemo & Friends, you're gonna head right. (The monorail track will be overhead.) Can't miss it- it's pretty, striped, and minty fresh. I love the Small World Wall because it's so simple, yet whimsical. The blue and white colors with the geometric shapes adds so much to the background of any photo. It's located, in Disneyland, across the wall from the Small World exit, by the entrance to Toon Town! Interestingly, it's actually an entrance to a backstage area for cast members! It's still worth a visit nonetheless. I absolutely adore this wall. Every time it rotates, you get to see another color scheme, so you can get so many photos just at this one location! The Carousel of Progress is such an iconic attraction, so the fact that they have turned it into a work of art makes my heart happy. Make sure to go see it and snap a photo. Don't wait too long though, it rotates about every 4 minutes! How to find it: As you enter Tomorrowland from The Hub on Main Street, walk all the way to the back. The Carousel of Progress is between Space Mountain and Buzz Lightyear's Space Ranger Spin. This wall is located directly on the rotating attraction! I love the Tangled Wall because of the details - it looks like it’s really Rapunzel’s artwork, and the colors are beautiful! This whole section of the parks feels magical, even if it’s also where strollers hang out. The Tangled Wall is a gorgeous addition to Magic Kingdom! I fell in love with this wall because its right at the entrance of Disneyland! It represents the beginning of many memories for me and my connection to my love with Disneyland. I love how vintage it feels and it really just makes me so happy! This wall in particular has become a must do tradition for my visits. This wall is located at Disneyland right when you walk in. you've probably passed in a million times if you've been before. 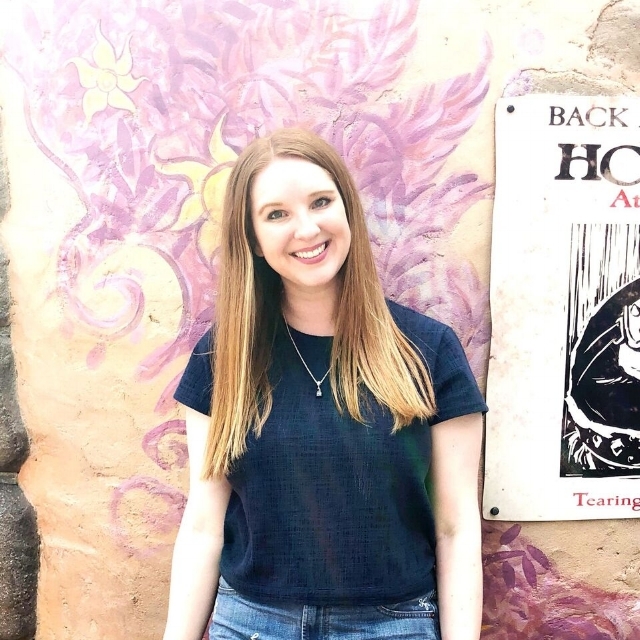 I couldn't do a post about the best Disney Walls without sharing mine! My favorite wall is the Land Wall! I'm in love with the mosaic design and all the colors. It's huge and there are so many different angles and designs you can get photos of. I feel like every time I see it I find something new! This wall can be found in Epcot at the entrance of The Land Pavilion. What is your favorite Disney Wall? Let me know in the comments!